Styling with flowers in the summer months is always such a treat! So I thought I would celebrate the end of peony season by embracing these gorgeous huge blooms that are cheering up my living room on this very wet July day. I had planned on styling outdoors again (maybe I will when it brightens up). But, I've just painted an old vintage chest which I've been meaning to do for ages and I love it! 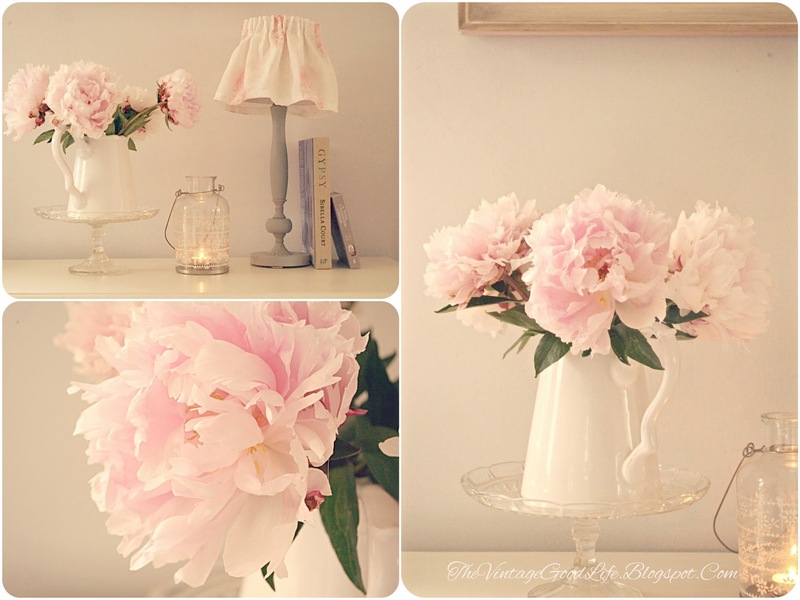 It is the perfect spot for a jug of beautiful peonies! I wanted to keep it simple and the little tea light adds a romantic touch. 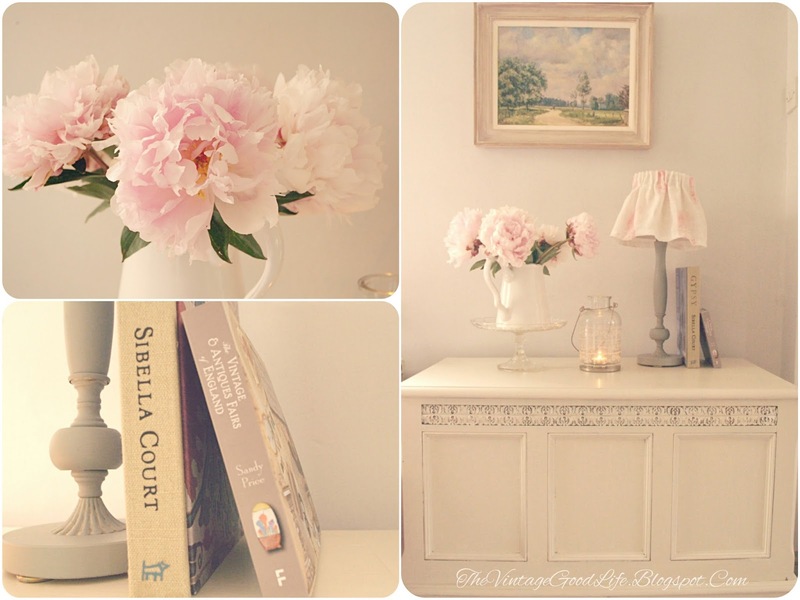 A couple of my favourite books and up-cycled painted lamp completes the soft look. Enter by using the #StylingTheSeasons hashtag and tagging Katy and Charlotte. Oh I do love Peonies, they are so pretty and they smell divine too.